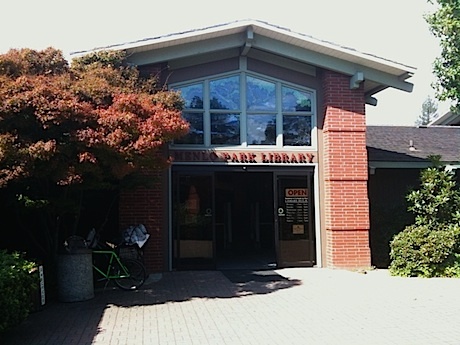 Community members are invited to the first of three meetings on Monday, Dec. 4, from 6:30 to 9:00 pm at the current Menlo Park Library at 800 Alma Street to discuss options for siting a new main library on the Burgess Campus . In this meeting, background on the main library space analysis process will be shared and community members will engage in a conversation regarding the best location on the campus for a potential new library. This is one of three meetings for community input. Others are scheduled for Jan. 17, 2018, and Feb. 15, 2018. Nowhere. This is a completely bad idea. This kind of money is far better spent on other projects. We need to say ‘thank you but no’ to the donation. This is a trojan gift that costs the City more and more and more. I’m visiting friends in Portland, and they have a public library with affordable housing above the library. It’s lovely! Across the street are single family homes and lots of trees. I can totally see us doing something like this in Menlo Park! We do not need a new library in downtown Menlo used by those of us who live here. With GOP income tax plan, local taxes will no longer be deductible, which could mean we need to plan people will adjust for their loss of income to be able to pay higher taxes they will owe unless in top 1% of high income payers like the donor. Instead we need to pay our librarians & staff higher wages to accommodate expense of living locally. We understand what we pay now leaves many of them in sub-standard housing, like living in their cars and relying on food bank & other funded food programs because they cannot afford food enough anyway to be food sufficient.